You may print the patient forms to bring with you to your appointment. Have you ever considered pulsed light hair removal or Botox injections to improve your appearance or gain self-confidence? Kris Howard M.D. 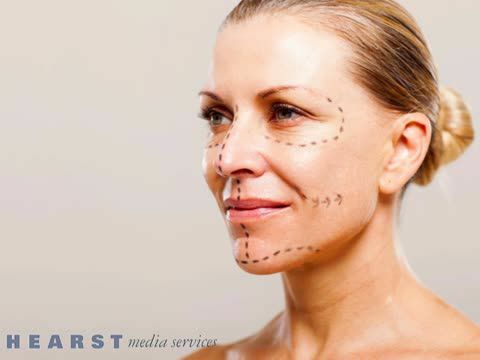 at West Texas Dermatology offers a variety of services to enhance your overall appearance without costing you a fortune. We serve the Odessa, TX and Midland, TX areas with trustworthy dermatologist services. Here at West Texas Dermatolgy Center in Odessa, TX, we do our best to help guide you through the solutions to whatever your issues might be, whether they’re medical, cosmetic or anything in between. We provide the latest technology, treatment, procedures, wrinkle fixers, and medical solutions to make your results last a long time. Our hand-picked skin care products are carefully chosen to provide the most beneficial effects possible for your skin. You and your skin deserve nothing less than the best! It's our professional responsibility to make sure the treatments offered to you are the best available. It's important to offer what we are sure will work with your specific skin condition. There are many treatments openly touted as miracle fixes, which actually are still in their infancy stages of development and offer only modest improvement. For this reason, you may find we don't offer every single procedure you hear or read about. Fortunately, we have a vast array of proven technologies to choose from to help with skin issues of all kinds, including acne, skin cancer, warts, and many others. It's our hope that the many years of training and experience we've had will help you derive precisely the results you are looking for. Our friendly and caring staff values the trust and confidence of our patients. When you want to feel confident in your appearance, turn to Dr. Howard for the most trustworthy dermatologist services in the Midland, TX area! A local dermatologist tending to your Botox injection and hair removal needs! If you’re tired of having to shave each week, consider an option that will help you say goodbye to razors and costly shaving cream once and for all. Laser hair removal is just the trick to removing any unwanted hair on your body. It’s a popular procedure that receives much hype and attention because it actually works! There are many benefits to having Botox done, one being that you can treat wrinkles or signs of aging. Also if you sweat excessively consider getting Botox Injections. It’s a quick procedure that will have you looking great in no time! When you visit our state-of-the-art facility, you can expect to be treated with the utmost care. We want you to feel like a member of our family rather than one of our patients. Our staff is passionate about helping people. We want you to live a healthy and happy life you can feel good about and in doing so, we strive to come up with the best solution possible for your issues or concerns. Dr. Howard has served West Texas for the past 26 years. Call us today at 844-267-0874 to schedule an appointment for dermatologist services in the Midland, TX and Odessa, TX area. We can’t wait to help you! Surgical & general dermatology, Skinfinity Radio Frequency Therapy, Micropen skin therapy, sclerotherapy and laser treatment for spider veins on legs, glycolic acid products, and ZO Products, Revalé and Botox. Derma Peel and Foto Facial. We do take BCBS, Cigna, City Of Odessa, Ector County, Healthsmart Preferred, Healthsmart Accel Insurance, Medicare and most supplement policies. Open 8:00 AM - 5:00 PM Mondays, Wednesdays, and Thursdays; 7:30 AM - 5:00 PM on Tuesdays; and 7:30 AM - 12 PM on Fridays Call for appointment.